This is a fabulous looking boat, that draws lots of admiring comments and really turns heads! She stands apart from her run of the mill counterparts and real attention seems to have been paid, to designing a boat that is different in many ways, but still offers great accommodation and opportunities for adventure. 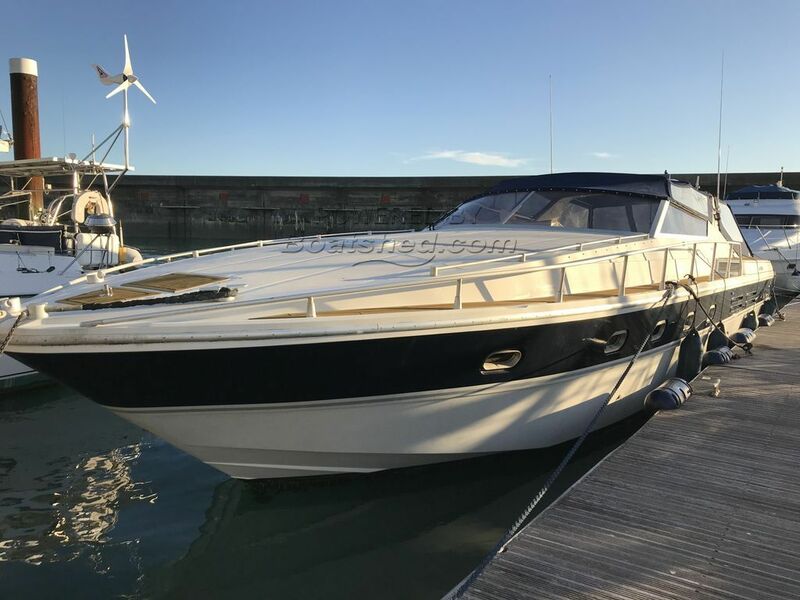 She has a large, inviting cockpit that leads down to a great saloon and forward cabin area and there is a completely separate guest suite aft which could be great for visitors or children who want a bit of privacy. This boat, with her low airdraft and with the right certification, may well suit inland waterways, as well as open sea use. This Giorgi Cantieri Navali Open 46 Aft Cabin has been personally photographed and viewed by Tim Kingston of Boatshed Brighton. Click here for contact details.